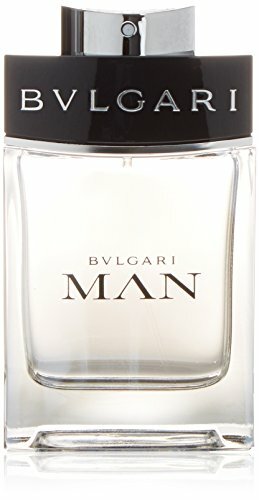 I’m excited to give my review of the Man by Bvlgari cologne for men, which is the first romantic wear cologne that we’ve really spoken about. If I had to describe this cologne in one word I would say “respect” fits well for it. By that I mean by smelling it you think of some high quality cologne that some of the most top tier elite people would wear. With a lot of the colognes we’ve reviewed lately there has been some that tend to work better for more a certain age group, this usually being the (20-40 age group). With this cologne you sort of get the exact opposite feeling, as it tends to make me think (scent wise) that it’s for more of a higher end quality group of men that only they can afford like doctors, lawyers, judges, businessmen and etc.. This is just how the smell of this resonates with me for some reason in which my girlfriend thinks I’m crazy for thinking that but oh well! OK there’s my intro of this cologne so now I will go over some details about this cologne followed by the pros of it. Man by Bvlgari is very young compared to a lot of some of the big name colognes. With only being released in 2010, that makes this cologne literally in the child stages of really getting out there. I expect in another 5 – 10 years it will be one of the more recognizable colognes for men. With this cologne you only need just a little bit to get it’s full fragrance effect so this means you can make one bottle last much longer compared to other where you need 2 or 3 sprays to really get the smell noticeable. Strength wise this cologne is overly strong unless you really spray way more than is needed which I don’t think a cologne should ever be sprayed more than 3 sprays. You can wear this cologne without effecting someone a table over in a restaurant but still provide your date across from you to be able to smell it which is exactly what you want in a romantic type of cologne. Seeing how this cologne is mainly used for dating type of cologne it would be pretty worthless if women didn’t like it. This cologne has produced nothing but positive remarks on all of my dates, a long with nods of approvals with girl friends that I hang out with. The only exception is that my 8 year old daughter doesn’t like the smell of it but I’m not sure if that actually counts as a bad review because she would probably prefer if I smell like play dough 24/7. This can’t speak for all women of course because some women may have not liked it and not said anything or just been being nice but from my overall experience it tends to have a very positive result with the ladies. As I mentioned earlier this cologne is pretty new compared to other colognes which can be good & bad in terms of finding it in a local store. Good because stores like to put out new hotness type of product that might intrigue sellers because they haven’t seen it before. Bad because stores usually have a limited amount of shelf room and they want to put out products that are proven to be good sellers. With that being said calling up local stores such as Sephora can’t hurt to see if they possibly have it but don’t be disappointed if they don’t. I usually buy my cologne directly from amazon just because I’m not overly fond of store shopping plus I’m usually making a purchase through them anyway so I usually don’t pay any extra for shipping since it’s such a small item.